The most advanced consumer insights engine in the c-store industry. Koupon’s tools help marketers understand how, where and when c-store consumers shop for a product. Real-time dashboards keep c-store operators informed about key performance metrics and industry benchmarks. Machine learning models leverage historical data to recommend high-impact mobile offers and in-store promotions. Evaluate consumer patterns across products, stores and digital channels, and use these insights to create campaigns that change behavior and grow sales. Know where consumers are shopping and launch campaigns accordingly. Understand what media channels reach consumers and influence sales. Identify loyal consumers who engage with brand channels. Understand how consumers purchase products when shopping in c-store. 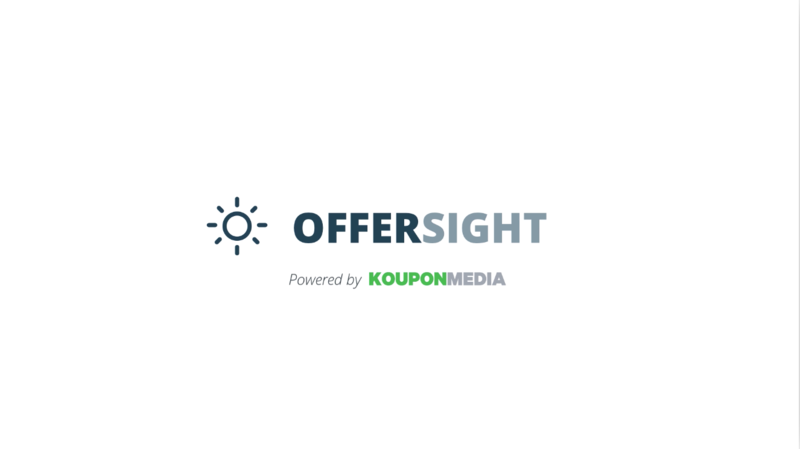 Koupon OfferSight is the first-ever predictive engine that recommends offers and promotions for c-store marketers. Koupon helps marketers understand how products perform in stores across customers, stores and digital channels. Identify unique relationships between products and categories within baskets. Measure the impact of ongoing campaigns by monitoring sales. Evaluate how seasonality, day of week and time of day affect purchases. Understand your brand’s piece of the pie and identify emerging competitors. Koupon provides retailers with tools to evaluate real-time store performance across regions, formats and personnel. Gain fast insight into key traffic, sales and basket metrics across your stores. Learn how your stores perform against peers across key industry indicators. Leverage predictive models to highlight negative trends early, so you can respond. Koupon anonymizes and aggregates data to demonstrate how your c-store compares to other retailers. Koupon cleans purchase data to allow you to quickly understand how your products perform in c-store. We collected billions of data points across digital promotions and in-store transaction data, all in an effort to dig deeper into not only how consumers redeem offers in c-stores, but how they shop and make buying decisions.